LONGARM CLASS REGISTRATION MUST BE RECEIVED THREE OR MORE BUSINESS (UNLESS OTHERWISE NOTED) DAYS PRIOR TO CLASS DATE TO ALLOW FOR PREP TIME. NO EXCEPTIONS! If minimum number of student per class is not met-class will be cancelled and fees will be refunded. Join us for an open house and Handi Quilter trunk show! The NEW HANDI QUILTER RENTAL program will be available at bargain pricing! 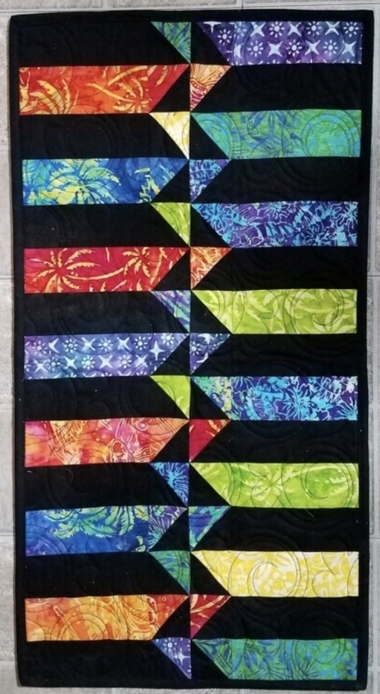 (for January 25th ONLY) and register for the Beginning Basics longarm class. Learn a new and unique way to cut 1/2 square triangles! This is a quick and simple piece you should be able to finish in class. Beginner friendly. Everyone welcome. 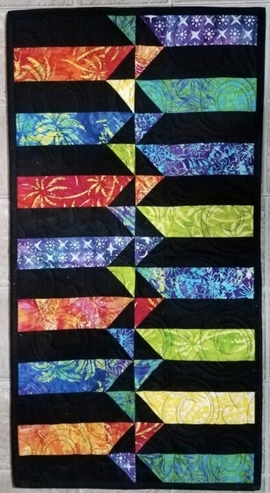 This is a cheery and bright quilt class perfect for spring! This class is beginner friendly. All are welcome to join us. Class fees are $20.00 per class. Supplies are not included. 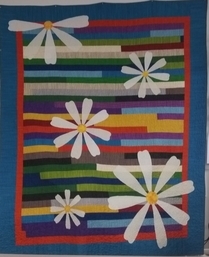 Register at Quilting for You by Feb. 12th to guarantee your spot. Bring a lunch drinks are provided.